Formerly called “The Queen of the Langhe”, Cairo Montenotte is a medieval village on the left bank of the Bormida di Spigno river, just downstream of the confluence of the branches of Pallare and Mallare. The vestiges of the Marquis Del Carretto’s Castle constitute a suggestive background being a recurring theme in several paintings and prints of the time. Roman station on the Via Julia Augusta from Vado to Tortona, still today it maintains, in the locality Rocchetta, one of the Roman bridges built in the valley. In the Middle Ages, it suffered the Lombard invasion (barbarian invaders) and several Saracen raids. Designated as Carium and included in the Marca Aleramica (10th century), in 1091 it became a possession of Bonifacio del Vasto Marquis, who built a castle, then it passed to the Marquis Del Carretto. In 1339, the whole fiefdom was reunited under the Scarampi Family of Asti. In the 17th century, the hamlet was attacked and sacked / looted by the Savoyard militias and was hit by a great famine. Along with the other imperial fiefdoms, it was annexed to the Kingdom of Sardinia by the Peace of Vienna (1735). In 1796, here around the famous battle of Montenotte was fought, by which Napoleon, with a strategic blitzkrieg, within a month, defeated the Piedmontese and Austrian armies by marching through with his army. In the town, arranged a rectangular layout, are traits of defense walls with a tower and Medieval Gates pointed to the overlying tower restored in 1937. In the built-up area, arranged in a rectangular plan, there are still remains of the 14th-century defensive city walls with a fortified defensive tower and the Porta Soprana (ogival medieval fortified city gate) with the overlying tower restored in 1937. 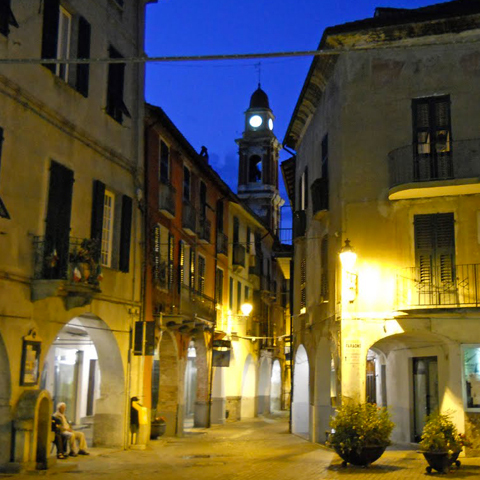 When crossing it, you will enter the old historic centre full of noble buildings, including the the Palace of the Marquis Scarampi (15th century), which was formerly the residence of the Marquis Del Carretto. The 17th-century parish church of Saint Lawrence, dominated by a high bell tower, was restored and enlarged in 1816.